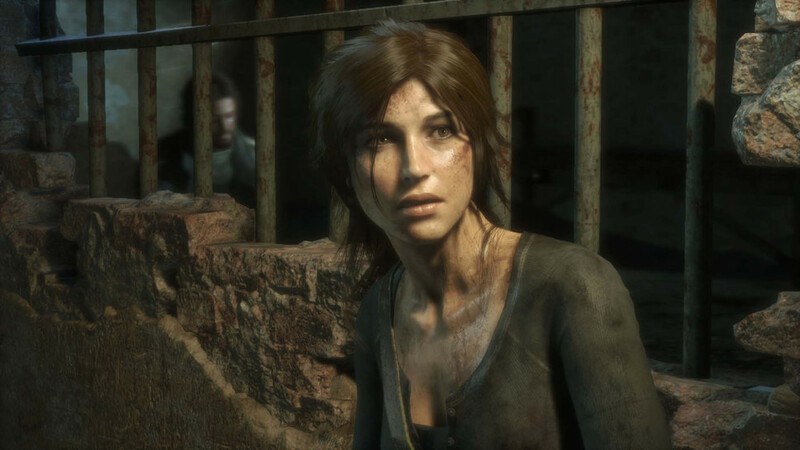 Matt chats with Crystal Dynamics' Mike Brinker, lead designer on Rise of the Tomb Raider. 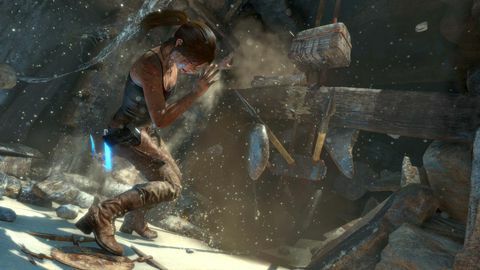 Q: What do you feel worked in 2013’s Tomb Raider, and what did you learn from that game’s creation? Mike Brinker: If you look at what we did for our RPG elements, we really wanted to expand on ‘em. The RPG element are core when it comes to bringing about a character like Lara Croft and her journey. So I think what we did well there were things like her skill trees, and now we’ve broadened that. We have up to 50 skills new, three different trees, and there’s four different tiers. So, you have a massive amount of skills you can learn, and all of them are very unique. Beyond that, we wanted to expand on her being a smart, resourceful character. We have an entire team at Crystal Dynamics dedicated to building levels and building worlds and building experiences for the player that make Lara come to life as a smart, resourceful character. We focussed heavily on building a crafting system which I think expands on that being in the world and utilising harsh environments to her advantage. And we have 16-20 different resources that you can use to craft anything you want to. We’ve got weapons, gear items, and some other abilities like healing is a big one. So there’s tons of different stuff we use crafting elements for in the game now. I think we did that well [in Tomb Raider], and we’ve expanded on that this time around. Things we learned: bring back the tombs! That’s one of the things that’s near and dear to my heart. We said, “We need to bring back these ancient, epic spaces for tombs. These awe-inspiring spaces that no-one’s touched in millions of years.” And then you look at what that layer of history is, it’s not just about being a microcosm of a puzzle in one spot. It’s having a layer of history that tells a narrative that’s similar or alongside our core story path. We also have a new formula called the nested puzzle, which is about taking multiple chambers of puzzles to solve in order to solve one major puzzle. Those are the big things. Q: Will you be able to max out all those skills in one playthrough? Or is it more a case of making a certain build for each time you play through the game? Mike Brinker: We’re really promoting choice. I think that’s one of the best things. So you can go down a tree if you want, or you can jump over to the other one. When you get through the game you’ll have the ability to always max, and that’s an important thing for our gamers. We want our audience to not only have a choice of when they do it, you also have the 100 percenters, right? And that gets into what the whole game looks like. If you’re going to do the 100 percent completion, it’s 30 or 40 hours – a lot of content. Q: Lara was vulnerable at the beginning of Tomb Raider, but she grew into what was basically Rambo. Was it difficult to start her in a position of competence in this game? Mike Brinker: If you look at the end of the 2013 game, it set up some mysteries. She learned that these mysteries were out there – that they exist. And she was thrown into that fray not really under her own auspices, not really prepared, just surviving. Now that she has a taste of those mysteries, and she knows that truth is out there. That’s her driving force. She wants to expose those truths to the world. She’s going into things prepared, becoming that tomb raider. That's where we get into the tracking system, and some of the new translation systems. 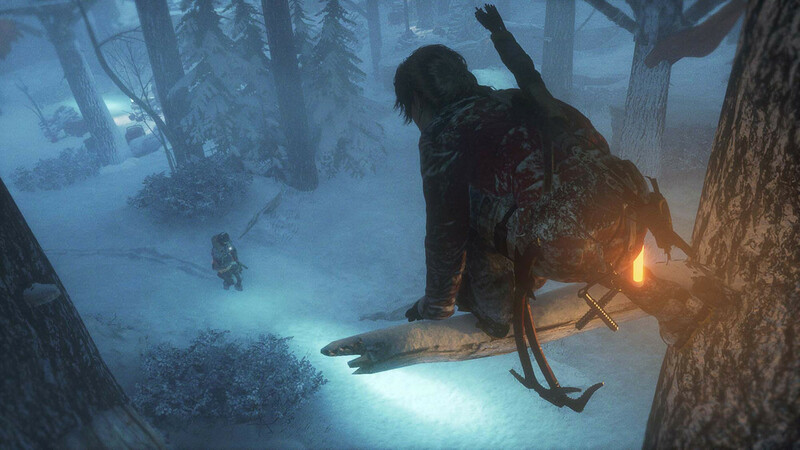 How she’s learning and growing is all part of Rise of the Tomb Raider. It was about survival, now it’s about growth, learning, being resourceful, and using her environment to survive. Q: I’ve seen mention of day/night cycles and weather systems, so this game is obviously a lot more open than Tomb Raider. Is there a hub system? How does it fit together? we wanted to expand on her being a smart, resourceful character. Mike Brinker: I love the way we’ve constructed our world, because what we’ve done is we’ve allowed players to go through our narrative in a few funnels, then we get to these spaces that open up – the hubs. These hubs are three times larger than our last game. So they’re quite a bit bigger, and they’re filled with more things to do. It’s not just more, it’s also about the depth of the systems too. The hubs serve as playgrounds for doing all different kinds of things. I think you’ll find it’s not just about the first, second, or third time through them – it’s really about what you can find as you go through these loops of narrative and come back. You’re going to find all these different things to do. Within those systems we not only go broad, we go deep. For example, the translation system. That’s about Lara learning languages so she can uncover things called monoliths. Monoliths are important because they uncover other treasures in the world, which then feed into a whole other system in the game that’s new, which allows you to go purchase weapons and other things. Q: So Lara can now swim, climb trees, hide in bushes…. Mike Brinker: There’s stealth options, and we wanted to expand on that. Our AI has expanded to include something called lost target. In the old game, if I fire an arrow into the distance and it hits the ground, guards say, “I should go investigate.” Once they did so, they knew exactly where that arrow came from, and then they came and attacked. In this game, they investigate. They spread out a message to their group, and then when they try and track you down [and fail to], they go back to what they were doing. It’s really important because it increases the options for players. That has expanded crafting too: should I use this bottle as a distraction tool, or craft something with it? You don’t have to kill anyone. You can go up trees to avoid enemies or take them down, you can go underwater and take them down from there. It’s freedom of choice. We want players to have options. Q: What can you tell us about bosses in the game? Mike Brinker: We’re looking at our environments as being these deadly playgrounds, with a deadly enemy force named Trinity that’s after you, and after the same things you want. We also have some deadly guardians for our tombs. There are some things there I don’t wanna give away. You’ve probably seen our bear – that’s one of them. Q: You must have had a fun few months of hate mail when everyone thought Rise was an Xbox exclusive? Mike Brinker: [Laughs] Our partnership with Microsoft has been really good, and one thing I try to tell our fans and make sure they understand is: we’re focussing on one platform, and building the quintessential tomb raiding experience that way. All the features I just told you about, from our tech, to our expansions from the first game… look at what we did for our global lighting solution, something called physical based rendering. All the light that casts all that soft shadowing, all the sub-surface scattering of her skin, hair simulation, animation, facial stuff – all of that is because we’re working with the Xbox and we’re able to focus on that. we’re focussing on one platform, and building the quintessential tomb raiding experience that way. That brings the life into Tomb Raider, and the life into our character, and that’s really what our fans want. If you look at it that way, what I’m most proud of is that we’ve been able to deliver this amazing tomb raiding experience. When I was demoing at PAX people weren’t even playing, their eyes were just wide open, jaws dropped. People are blown away by it. Q: One thing that isn’t going to be around this time is multiplayer. Mike Brinker: The only thing I can say right now is that there will be a live component to the game. We haven’t had any official announcement, but look for that in the future. Q: Anything I’ve missed that your desperate to get the word out about? Mike Brinker: Rise of the Tomb Raider is really about Lara Croft’s adventures into becoming the tomb raider, and tombs are back and better than ever. To see the 20-year history and see the core elements of what tombs were coming back… I can’t wait for people to experience ‘em.